Take a look at this interesting pen! This is a 1993 DJ Kennedy “Stylus” shaped bulb-filler, by this famed artist and Sculptor, who produced pens by private order for Nieman Marcus. The pen is hand signed by the artist (on the very bottom of the barrel) as follows: “DJ Kennedy Completed 14 April 1993 No. 95.” Sterling silver repousse work and brass applique. 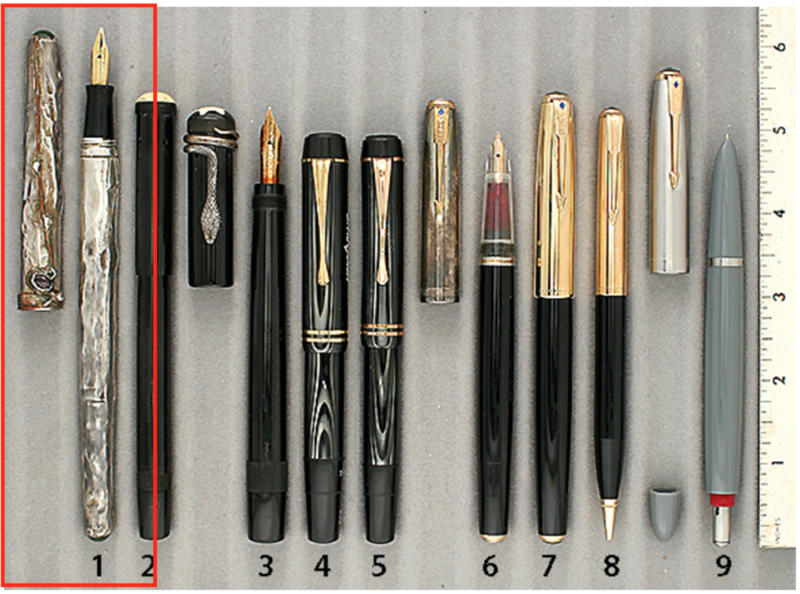 The pen has a Waterman #2 nib (fine, extra-flexible). New-old-stock. Mint. Would have retailed for $1,000 or more! Item #1 in Catalog #77.